This nimble, lightweight, telescoping pole can be fitted with lopper or saw head to reach 10' above ground. 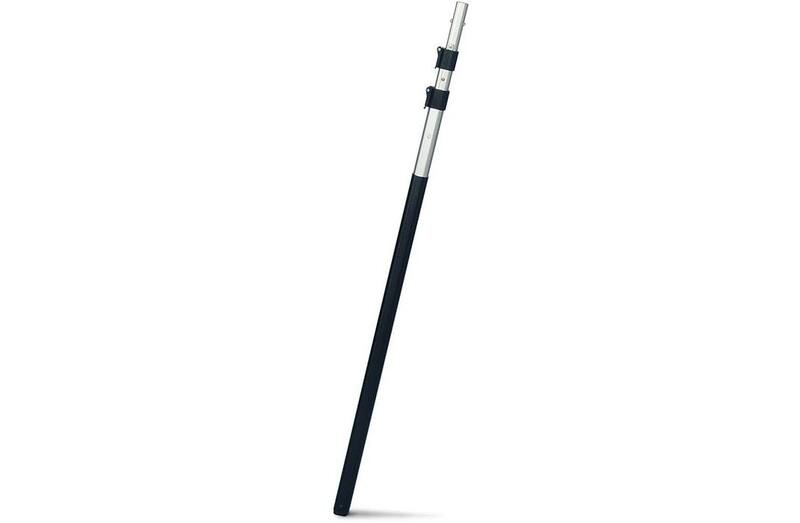 The PP 600 telescoping pole can be fitted with a lopper or saw head - ideal for landscapers on the move. This combination allows you to experience precision cutting in a portable package. The PP 600 telescoping pole is part of the STIHL Precision Series™ and is ideal for areas that require a delicate cutting touch. Its lightweight aluminum body weighs only 3.3 pounds and has an engineered box shaft design for minimal flex when fully extended. This gives you a working reach of over 10' above the ground. When cutting is done, simply collapse the pole down. It fits neatly in the back of a truck, providing easy transport and storage. NOTE: Saw heads and lopper attachments are sold separately.